There are a number of devices that can be used to help treat your sleep apnea. Choosing the right device depends on the type and severity of your sleep apnea. You should consult with your sleep specialist to help assess which device will be right for you. Continuous positive airway pressure, or CPAP, machines are devices that help anyone who has obstructive sleep apnea to breathe without difficulty while sleeping. The machine works to create a positive air pressure in your throat so when you breath in, your airway does not collapse. This is the most common and preferred treatment for obstructive sleep apnea. CPAP machines have been shown to reduce daytime sleepiness and lower blood pressure in those with moderate to severe sleep apnea. Some patients have reported dry nose and throat while using this treatment. You may also experience some gastric bloating or irritation of the skin on your face. If you are experiencing any of these symptoms, your CPAP machine may not be properly set up and you need to consult your doctor or one of our sleep experts. Coastal Sleep has an array of CPAP machines to help with your sleep apnea. Please see our Product Pages to find the best fit for you. Sleep masks are used with CPAP machines to deliver consistent and continuous airway pressure while you sleep. There are many different types of masks available that vary in size, shape, and style. Everyone has a different face shape and needs so you may need to consult with your doctor or our sleep experts to discover which mask will work best for you. When choosing a mask it is important to consider how you naturally tend to breathe, either through your nose or mouth. Different types of masks will focus on creating air pressure through the nose or mouth. You will experience more comfort if you choose a mask that provides the air pressure in the same way you tend to breathe. 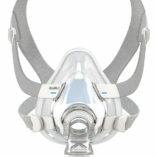 Coastal sleep offers a variety of sleep apnea masks to choose from. Please visit our Products Page to see the full selection. Dental or oral appliances may be the answer to your sleep apnea problems. They are custom fit pieces made by a dentist or orthodontist that you wear while you sleep. There are also some over-the-counter options available but they may not be as effective in alleviating your symptoms. Mandibular advancement device (MAD) looks like a mouthguard used in sports and snaps over your upper and lower dental arches. This device stabilizes the soft palate and tongue to keep your airway open. A sleep pillow is specially designed to help relieve the symptoms of sleep apnea. 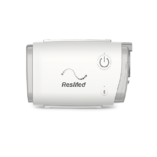 It can work with or without a CPAP machine and comes in various styles. The pillows are designed to position your neck so your airway is more likely to remain open during sleep. Studies have shown that these pillows may help anyone with mild sleep apnea symptoms and increase the comfort of those using CPAP machines.